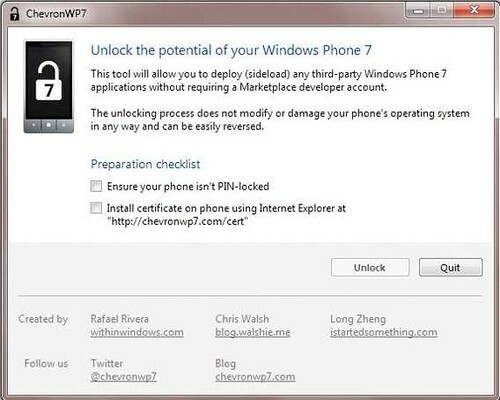 Are you looking for a software to unlock Windows Phone 7? So here it is.. ChevronWP7. With this tool you can install non-Marketplace apps. Unlocking allows the sideloading of experimental applications that would otherwise can’t be published to the Marketplace, such as those which access private or native APIs.